At this very moment, I am sitting in my froggy pajamas, with a compression sock on my left foot, which is elevated on a chair, wrapped in a Ziploc bag filled with ice. I had just gone upstairs to locate a journal I had written while taking a class at UC Berkeley in my late 20’s. The class was called Writing as a Practice. The purpose of the class was to pick an activity that I did 4-5 times a week and write immediately afterward. I chose running. Kind of like blogging, pre-blog Universe. 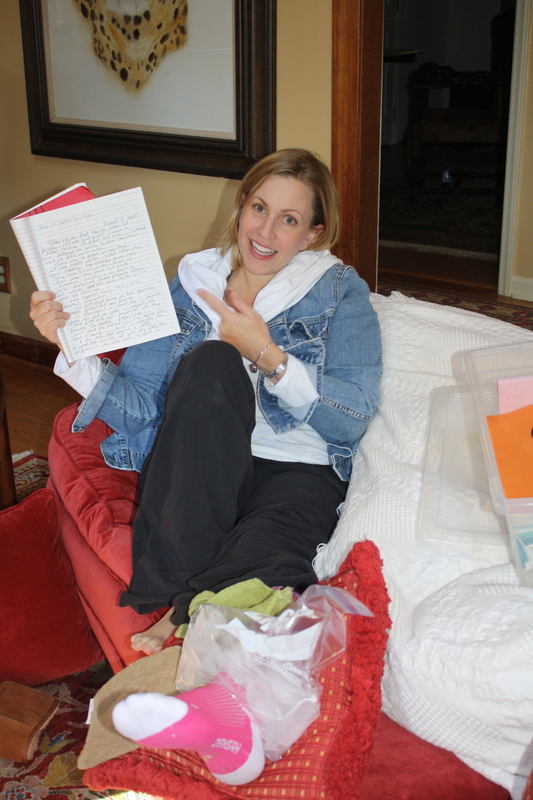 As I rummaged through the drawers in my closet, where my journals are hidden, I racked my brain about where it could be. I move my journals around often; truth be told, there’s some scary stuff in there. Moving them makes me feel like they are safer, though really, no one is looking. The Berkeley journal wasn’t in my drawers. Maybe it was on that really hight shelf, in that box with all my old photos? Instead of going to find a chair to safely climb up, I stepped on the lowest built-in with my right foot, stretched up to grab the highest hang rack with my left hand, and reached for the box with my right hand. At that very moment, Sophie, recovering from a really horrible yesterday (ear infection, fever, the works), ran into my closet crying that I can’t run today! Some days I have to peel her off of me to get out of the house. In my haste to get the box, and my frustration of having Sophie completely under foot (I also didn’t want the box to fall on her), I slipped and landed squarely on my left ankle. CRACK! I laid on the floor for Brian to come help. Tears streaming down my face, I yelled for Sophie to, “Go get Daddy!” She didn’t. She wanted her, “Hoppa Woobie” and was crying herself. Ok. Regroup. I’m mad as hell, but what can I do? The smart thing is to rest the ankle. It’s throbbing up my thigh. Forget the running today. Hopefully if I give it a day or two, I can still do my long run on Sunday? Adjust the schedule again. One step forward, two giant steps crippled steps back! 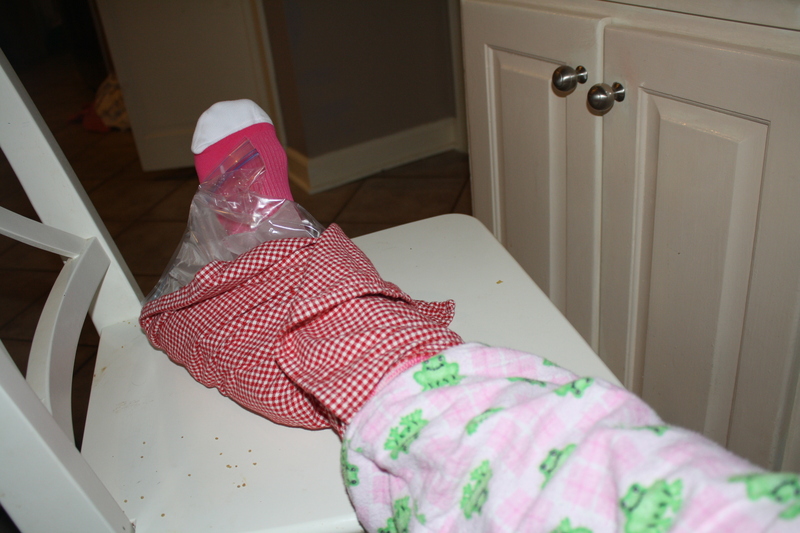 You are currently browsing entries tagged with injury at Running in Mommyland.